The Daily Palette supports Iowa's art students! We welcome submissions from talented young artists working in all media. Jesse Balmer is a fifteen year old student from Johnston, Iowa. 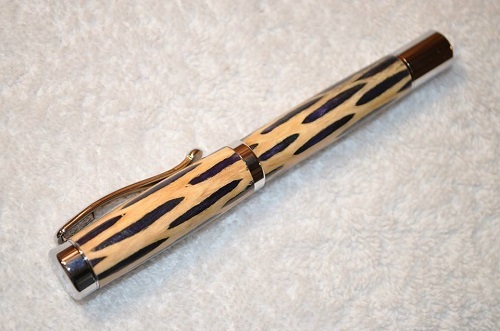 He makes unique pens by hand using corncobs, wood, antlers, and acrylic. His small, functional, yet beautiful works of art are popular at the Johnston Farmers' Market. He recently participated in Art on the Prairie in Perry, Iowa and Craft in the Barn in Johnston, Iowa.